high lustre, fine crimp style and low guard hair. All this in a range of colours. 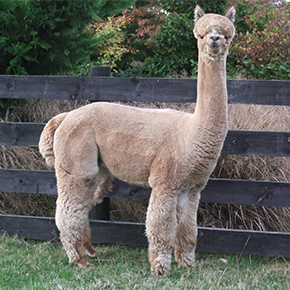 This highly acclaimed medium fawn male huacaya is simply stunning, both in his true to type conformation and the excellence of his fleece. 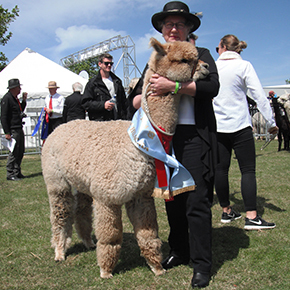 Awarded Supreme Champion Huacaya Fleece at the 2008 International Fleece Show he has it all. 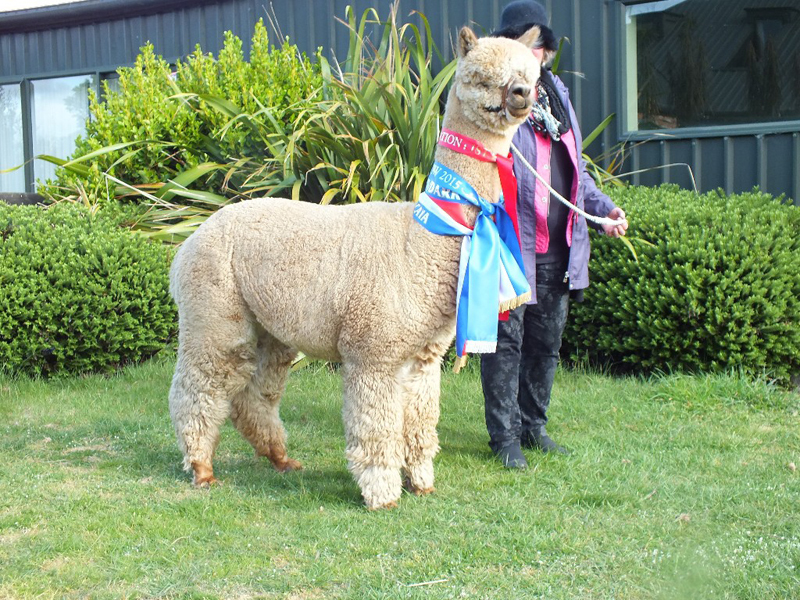 This multiple award winning stud male is perhaps the most outstanding of the many stunning fawn offspring sired by our International Fleece Supreme Champion, Forestglen Seth. This emerging star amongst our fawn huacaya males is in fact a grandson of the famous Forestglen Seth and is shaping to follow him as a high impact breeding stud male for future generations in our fawn breeding programme. This bold upright male combines a beautiful true to type conformation with a soft handling rich brown fleece that completes the package. Already with his first cria on the ground, this good looking male with loads of potential and is destine for great things. This is a superb classic young male who is looking very much like his father, Forestglen Seth, both in stature and in fleece quality. Bred from one of our top females WF Spellbound, this youngster has loads of potential and it will be exciting to watch him grow.